Before you turn IP address tracking off, you should know how tracking works and only choose this option if you really understand that this could have a negative impact on tracking users across different devices. By default, Deadline Funnel has multiple ways to track visitors that give you the highest probability of keeping your deadline consistent for each lead, no matter what device they switch to. The first two methods of tracking, cookie and IP address, are used by default. 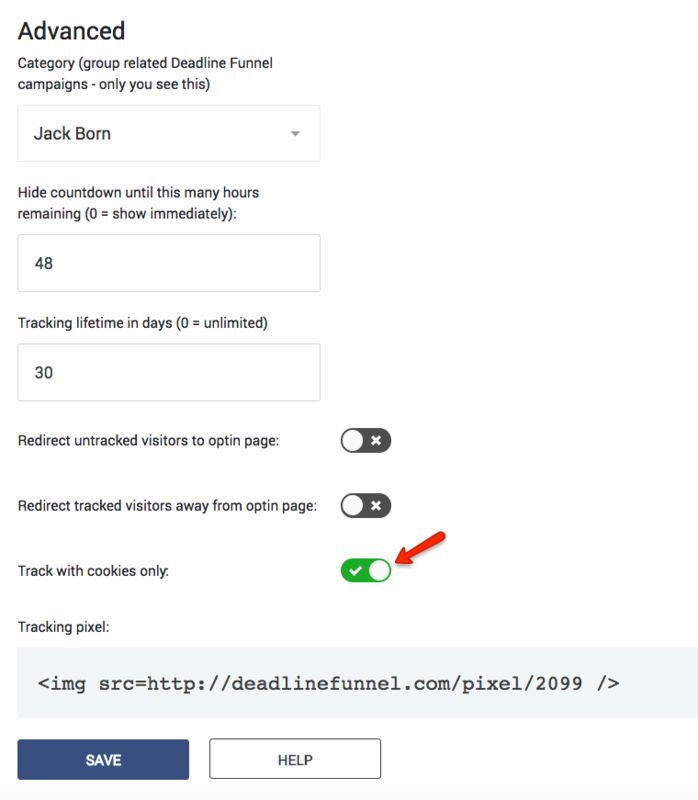 By checking for the IP address when a cookie isn't found, Deadline Funnel will find many of your leads that have switched devices but are on the same IP address. For example, someone that is originally tracked on their desktop at their home office reads your next marketing email on their iPhone and clicks the link in your email. In this case, if they are on the same wifi network then Deadline Funnel will find that IP address in the database and put a cookie on the iPhone that connects them to that tracking record. From that point forward, even if they go to Starbucks and read your next email on their iPhone, Deadline Funnel will find the cookie, even though the IP address has changed. So tracking visitors using both cookie and IP address is extremely powerful - but you do have the option to turn it off if you want.